Montana BLACK is the superior can of it's class. The Nitro-Combination based formula ensures a high coverage, matte finish, perfect control and handling. Re-developed with 187 powerful colors that can be applied to any surface. Short drying time allows rapid re-application and overlapping with other colors immediately. Non-scented aerosol paint made to the highest quality, health and environmental standards. 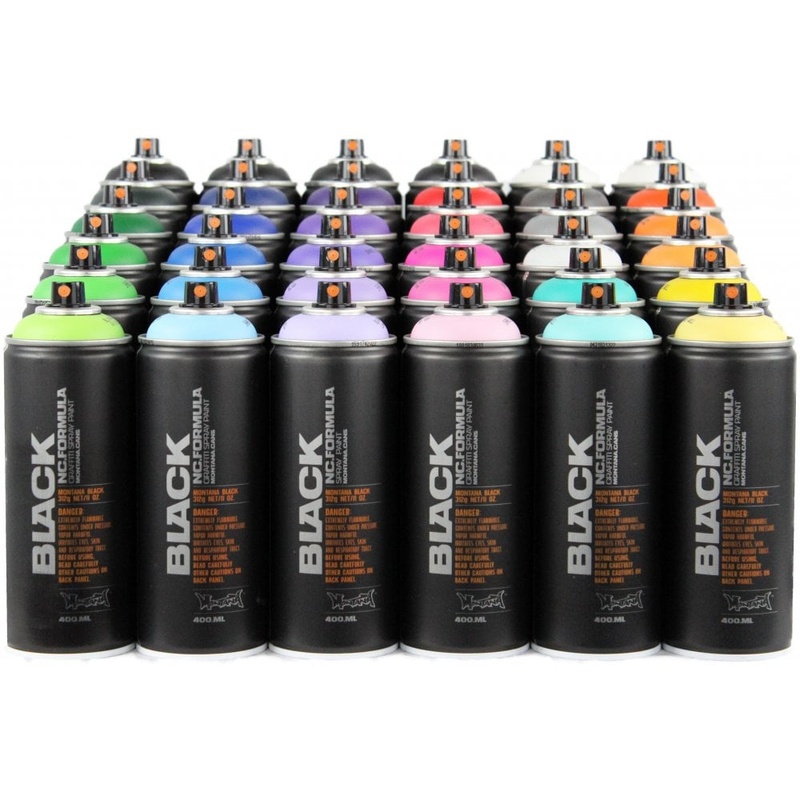 Montana BLACK spray paint is famous for its quality and reliability. The perfect tool for street art and graffiti artists.